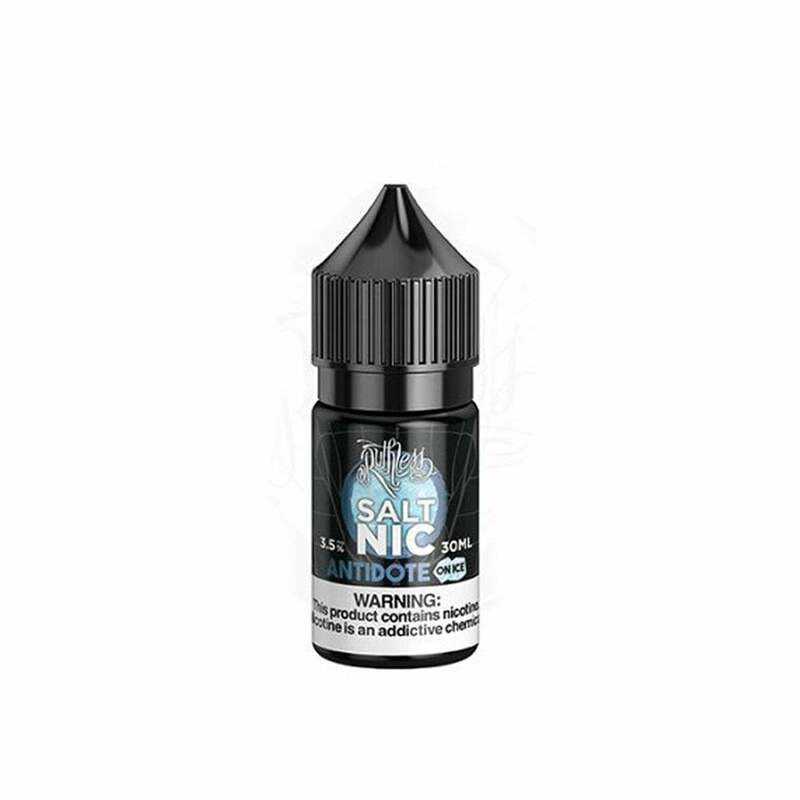 Antidote On Ice 30ml Nic Salt Juice by Ruthless is the cure to boring nic salt juice! This sweet blend of mango, blue raspberry, and a touch of menthol sure to bring a smile to anyone's day. Ruthless Antidote On Ice Nic Salt is available in 50mg (5.0% nicotine) and 35mg (3.5% nicotine) and is compatible in your favorite pod mod or similar low wattage device.